Desktop? Regular? Or Full? What Do You Call Your Non-Mobile Site? Browse: Home » Desktop? Regular? Or Full? What Do You Call Your Non-Mobile Site? 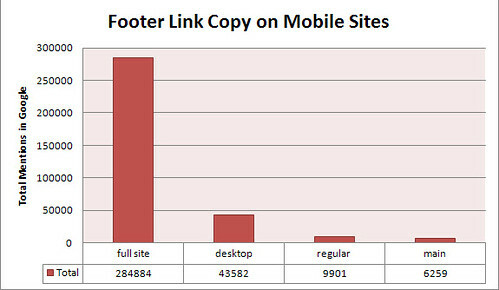 When I looked at phrase mentions for “full site”, “desktop site”, “regular site” and “main site” for the mobile URL options mentioned earlier, “full site” is clearly the most popular option. “Desktop site” is a distant second. 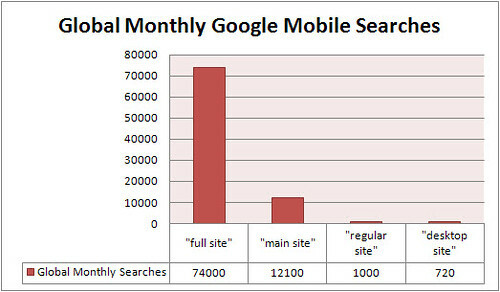 This doesn’t quite match how people search, but “full site” is the most popular option for mobile searches as well. Do you think that’s right? In the interest of standardizing how we write on mobile sites in order to make them more usable, is there a better way to refer to your non-mobile site? Sound off in the comments or on our Facebook page.